Nothing says party like cake and candles. 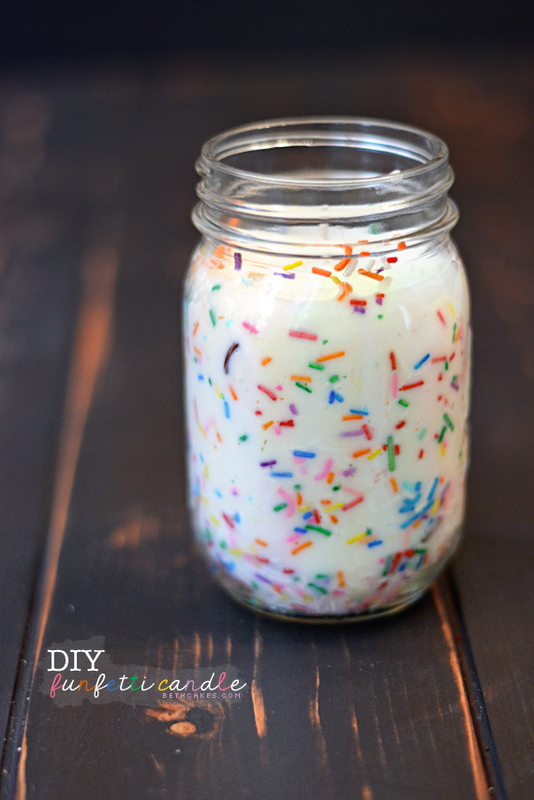 Now you can have both when you make DIY Funfetti Candles. Cake is such a comforting scent that I could burn this candle anytime. Though, along with those colorful sprinkles, it might just make me hungry for cake… and frosting. Mmm… frosting… Maybe we should stick to the other Candle-Making Tutorials!